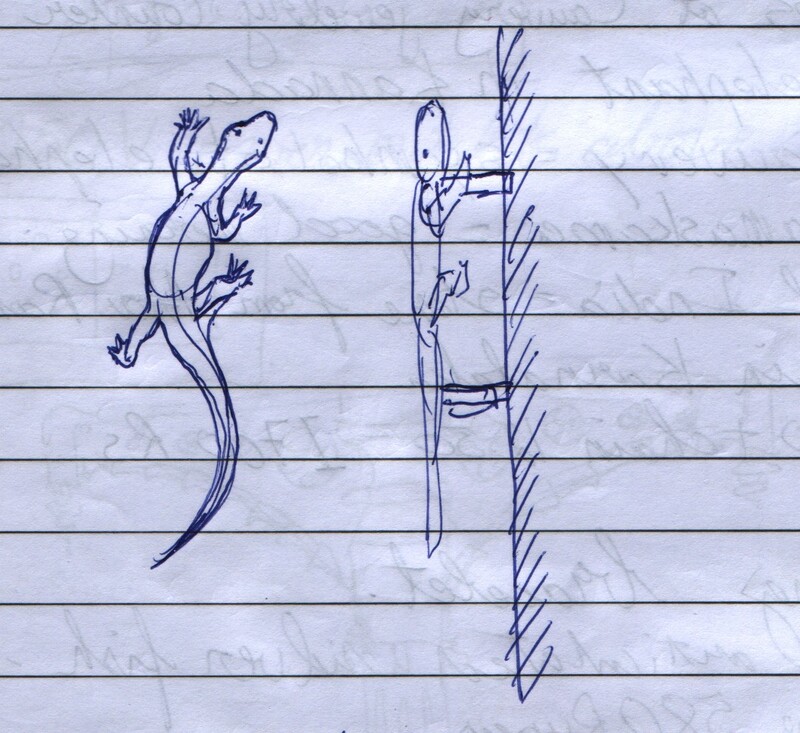 I drew this sketch of a lizard-shaped door handle to describe what I was looking for. One of the men at the hardware store said, wait. He walked off down the street. A short while later he returned with a few different brass, lizard-shaped door handles. I picked out the one that I wanted and bought it. Main Bazaar Road, Paharganj, New Delhi. The iron pillar is renowned. I remember from my childhood reading in a book that the iron pillar of Delhi is one of the world’s mysteries. Modern metallurgists do have a plausible explanation for its longevity, but it remains a marvel of skilled craftsmanship. Any book on the history of metallurgy refers to this pillar. 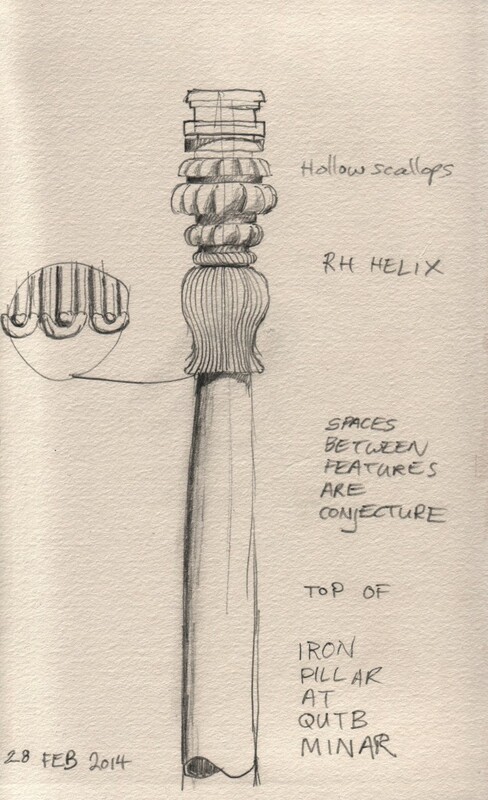 As I am interested in steel and blacksmithing, being able to see this pillar amounted to a sort of pilgrimage.